I've been cleaning. Shoveling. Removing. Sorting. Chucking. Yeah, I know - who knew? dipped in hand made walnut ink). will do the draw on Friday. Done, Done, Done - oh happy day!! Remember The Quilt-zzzz?? Well, this afternoon I finished the matching pillow shams so I can call that particular project done. Happy dance? 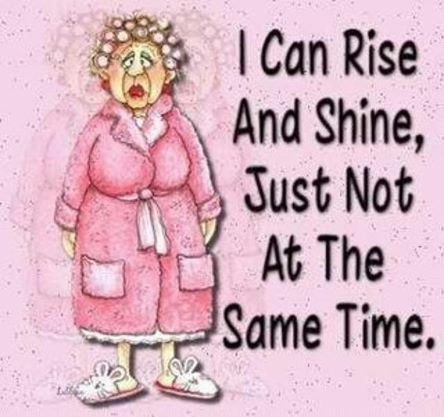 You bet!! and below is the setting for the second one. Sorry the picture quality isn't the best but it is definitely difficult to get a decent picture of something that's predominantly white. (and, before you ask, yes there are two of each!!). 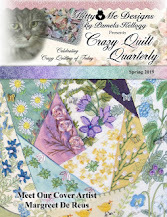 UPDATED TO ADD: Kathy Shaw has just announced that registrations are now open once again for her Basic Crazy Quilting online class. 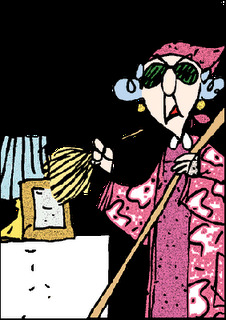 I can say, with confidence, that if you are hoping to learn to crazy quilt (or simply want to brush up on your skills) her class is worth it (AND, better yet, it's free!!). Go HERE for further info (and you'll have to hurry because registration is only open until midnight June 29th). Today the quote is courtesy of Norman Vincent Peale.... "The way to happiness: keep your heart free from hate, your mind from worry. Live simply, expect little, give much. Fill your life with love. Scatter sunshine. Forget self, think of others. Do as you would be done by. Try this for a week and you will be surprised"
I was just perusing some of the blogs I try to keep up with and I see that Cyra Lewis has a new book out, absolutely filled with the most incredible images of creativity!! The book is the result of an 'Ocean/The Color of Water' challenge issued by the International Freeform Fiberarts Guild. If you click on the link HERE it will take you to not only where you can order the book, but also where you can flip through the pages and get a taste for the undersea theme throughout. Blown away? Oh yeah!!! 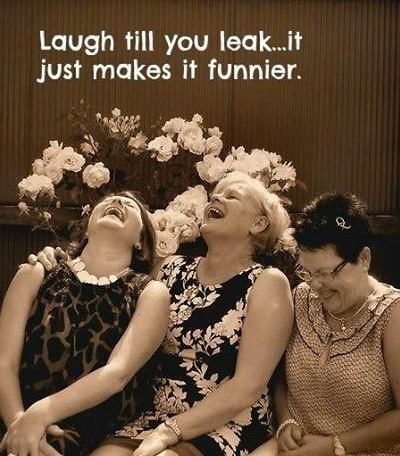 Today the quote is from Norman Cousins.... "It has always seemed to me that hearty laughter is a good way to jog internally without having to go outdoors"
Just a short drop in today, to let you know that Kathy Shaw (Shawkl) has announced that she's taking registrations for her ICQC 103 - "Embellishing With Threads' free online class. This one covers surface embroidery motifs and includes beaded and silk ribbon monograms along with seam treatments. Registration is only open until midnight on June 25th, so you will have to hurry. Go HERE for further info. Today's quote is from an unknown source... "You cannot hang out with negative people and expect to live a positive life"
My Asian-themed hussif is now finished! My pattern is a three-fold design, so I have shown you pictures of each of the three sections. This one was great fun to create and now I just hope my daughter-in-love likes it! Next 'up' on my list is another one for my other daughter-in-love. Today I am linking up with Super Mom - No Cape's Stitchery Link Party HERE. Today your quote is from Chritiane Collange.... "We have a tendency to obscure the forest of simple joys with the trees of problems"
A number of years ago I was given the honour of taking care of this little fellow. The lady that gave him to me said she played with him when she was a little girl, and she's approaching 100 now. I haven't been able to find anything online or in any books about him, unfortunately. The only identifying mark is 'Germany' stamped on the back of his neck. The only damage is that he has a broken thumb and he is in need of being re-strung. He's approximately 10 inches long. I have plans to give him some clothes someday, but haven't gotten around to it. I am envisioning something along the lines of Little Lord Fauntleroy or perhaps Blue Boy...or...maybe a long christening gown. 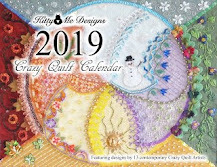 Just a note here to tell you that Kathy Shaw (Shawkl) has announced a brand new addition to her free Intermediate Crazy Quilt online classes and it looks exciting. Go HERE to find out more about her ICQC-107 Mini Silk Ribbon Embroidered Gardens class. You'll have to hurry to register - they're only open until midnight June 21. I fell down the Pinterest rabbit hole for a little bit last night and came across the work of Carol Walker HERE. I wasn't able to track down a blog or web site for her work, but what's been posted to pinterest is pretty incredible. Today the quote is from Ralph Waldo Emerson.... "The glory of friendship is not the outstretched hand, nor the kindly smile, nor the joy of companionship; it is the spiritual inspiration that comes to one when he discovers that someone else believes in him and is willing to trust him"
Yep, your eyes are not deceiving you - there ARE two quilts!! was done using an on-point rail fence setting. The only difference to the naked eye is that the machine quilter used two different patterns. That, and the second one is slightly bigger than the other. Both quilts 'read' as being whole cloth BUT (and here's the problem) having used six different shades of white fabrics to create the blocks just ends up making them look dirty. Yellowed, actually. I really hope the kids aren't disappointed when they get them....but I'm not going to be a bit surprised if they are. I know I am. So, because of all the boredom above, how be I send you off to see something a whole lot more interesting? 1. Go HERE to see a good video for creating beautiful ribbon roses and leaves. 2. For those of you who are knitters and crocheters, you might find the information HERE regarding how to avoid pain in your hands useful. I think this would be worthwhile for embroiders too. 3. For some really cute patterns for toys (many of them are free) check out THIS designer on Ravelry. 4. And, finally, for some beautiful crazy quilted ribbon work eye candy, have a look on Connie's blog post HERE. Today your quote is from Brian Dyson.... "Don't undermine your worth by comparing yourself with others. It is because we are different that each of us is special"
I was wondering what I would post about today and just read a post from Janie HERE where she showed a little doll quilt she has made. That reminded me of one that my maternal grandmother made for me when I was little. Surprisingly, I still have it! I got it out of my storage bin, and here it is. It was a well-loved treasure because I was an only child and dolls (and a couple of stuffed animals) were my playmates. Both of my grandmothers were quilters and made beautiful ones, a couple of which I have. Unfortunately the house that belonged to my paternal grandparents was lost to a fire, along with a large amount of her hand-made quilts. How I wish I had some of them now!! This is the back of my doll quilt, and I've woven yarn in and out of the quilting stitches my grandmother did. Who knew what would end up coming from that illustrious beginning!! Before I give you the quote for today, I would like to respond to a comment that Janice left on my blog asking if I ever sold my hussifs (sorry I can't respond to you personally Janice, but you are set to 'no reply'). The answer is no, I don't. The hours and hours of time I put into them just isn't something that people would be willing to pay for. I wouldn't sell one for under $100 and that puts the price way out of reach of most people. I have toyed with the thought of publishing my pattern, but haven't pursued it. Yet. Now, for the quote, from Samuel Butler.... "Man, unlike the animal, has never learned that the sole purpose of life is to enjoy it"
Today I don't have any pictures to share with you, so instead I will send you off to see some other things you might find of interest. 1. Go HERE for some really great information of value to those who are beginning to embroider (and great tips for those of us who have been doing it for awhile as well). 2. Go HERE for tips regarding adding beads to your embroidery stitches. 3. Go HERE for some really great filling stitches you can use in your embroidery pieces. 5. Sew4Home has an excellent article HERE about preventing thread tangles when hand sewing. Today's quote is from Merry Browne.... "If you want an accounting of your worth, count your friends"
Remember The Quilt-zzzzz?? And how one turned into two - both large king-sized quilts? Remember that? It's really difficult to get a picture of an all-white quilt, and on a dull day as well. Above it's lying on our bed and below you can see a close-up of the wonderful machine quilting. Just had a call this afternoon to say that Quilt-zzzzz #1 is done being machine quilted so it's close to being finished too. One more project to mark off my list!! Today the quote is from Benjamin Disraeli...."The secret of success is constancy to purpose"
Today I didn't manage to accomplish too much on the hussif, but here it is. The bird to the left of Pooh's tummy was a hand-painted (on silk I think) brooch. I removed the pin part and then held it down with a little bit of glue so that I could bead around it to hold it in place more securely. You might want to have a look at the quilts in the Canadian Quilter's Association National Juried Show - there are lots of spectacular quilts and they are well worth having a look HERE. Thank you to Judy for telling me about it. Today the quote is from Erich Fromm...."Not he who has much is rich, but he who gives much"
I'm in the process now of adding the final details to the crazy quilted hussif project. This one isn't as heavily embroidered as most that I do, but I chose to showcase some of the pretty fabrics I was able to use for piecing it. I have stitched down the cat (former brooch) and have added the gold zodiac disc. I'm not sure of the origins of the disc - it seems too large to be used for earrings. I can't even remember how I came to have it in my stash. The sweet little fabric face was harvested from a pincushion and found a spot in the center of the disc. The seam to the left is some pre-made gimp trim that originally had beads attached to it. The fan came is a photo of a real handpainted fan that was gifted to us by the recipients grandmother. Today's quote comes from an unknown source... "The human spirit needs places where nature has not been rearranged by the hand of man"
My daughter-in-love likes Nemo, so I couldn't resist putting one on her hussif. Thank you Maureen for the pattern!! This past weekend was the local quilt show and I neglected to take my camera. I wasn't worried though because I knew that Dolores was going to be there and she would take lots of pictures and post them on her blog. If you'd like to see some of the quilts go HERE, HERE, and HERE. The show was really well done and there were many many beautiful quilts there. I especially liked the display of antique crazy quilts. Finally - an update about the shooting that took place last week - the police have apprehended the shooter which is a huge relief for everyone. Our superintendent is still listed in stable condition and has a long recovery period ahead of him. You can read more about it HERE if you are interested. Today I'm linking up with the Monday Stitchery Link party at SuperMomNoCape HERE. Today the quote is from Audrey Hepburn..... "Remember, if you ever need a helping hand, you'll find one at the end of your arm. As you grow older you will discover that you have two hands. One for helping yourself, the other for helping others"
Knitting? Who Knew? And socks too!! I swore up and down many years ago that I would never ever in a million years attempt to knit socks. This was after a huge debacle that happened over a Christmas gift for my DH that took me months (and months!!!) to knit - and needless to say did not get done in time for Christmas. His birthday either, come to think of it. That looks surprisingly like a pair of socks, doesn't it? And yes, I made them. AND, would you believe I've cast on for the beginnings of another pair already? I have enough of this yarn to make three pairs - so the three males in my family will be getting a gift from me at some point. There might just be some more yarn in my stash that's suitable for the girls too. So - there's more socks in my future! These are knitted using Kroy Sock Yarn - toe up. I'm not thrilled with the toes (despite three attempts at different methods) and have changed it for the next pair. I don't care for pointy toes, despite the fact that they look okay when worn. The heels were another three or four attempts to get it right, and they still may change somewhat. Hmmm.....does this mean I'm writing my own pattern? Today the quote is from Franklin Roosevelt...."It is common sense to take a method and try it. If it fails, admit it frankly and try another. But above all, try something"